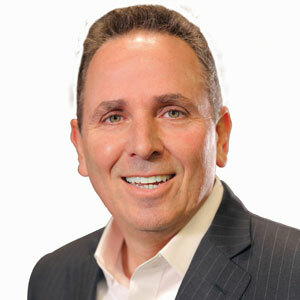 With the rapid proliferation of data in the market, Len Finkle, CEO of Profisee, a groundbreaking master data management (MDM) company, remarks that “good-enough” data and rear-view information are no longer sufficient for companies to tackle today’s business problems and enhance throughput. Massive amounts of data originating from numerous disparate sources such as IoT, cloud, and social media, has led to data disconnection and inconsistency—one of the biggest perils for any enterprise. Consequently, most companies are looking for intuitive data management solutions that can present them coherent and accurate information to make decisions faster. Recognizing the need to unravel complex data interactions, Profisee’s intuitive next-generation data management platform allows enterprises to “connect the dots” in real time providing an easy-to-use, personalized user experience. The Profisee platform is a proven, full-featured multi-domain, enterprise master data management solution designed to provide the lowest total cost of ownership, without sacrificing functionality across the major components of an MDM platform. “We did not want to complicate our fee structure and limit customers from utilizing certain types of data services or technology,” asserts Finkle. Profisee’s simple and transparent pricing is just one of the reasons for their soaring acceptance among enterprises. Considering the present business dynamics, Finkle mentions that migrating on-premise applications to the cloud has obviously become a widespread practice. However, there are two major aspects that continue to daunt CIOs when they choose to shift to the cloud. First, understanding the right approach of moving to the cloud, and second is deciding how to synchronize all the information that would move to diverse applications after the migration. “Companies are frightened of losing the visibility, efficiency, and control that comes from a single, end-to-end application,” states Finkle. Profisee firmly believes that there is a need for organizations to have a platform to serve as a data intelligence hub and clearing house for all the information assets. Profisee’s LightSwitchTM technology tackles this problem. The company’s suite of packaged data management applications is specifically built to support migration and synchronization of information simultaneously. Using the platform’s golden record management engine, an enterprise receives out-of-the-box cleansing, verification, matching, and a single view of the master data. For organizations wanting a more custom integration approach, Profisee offers a state of the art software development kit which provides another method to integrate the siloed cloud data together. Lastly, the platform continues to evolve based on market demand including the recent addition of Profisee Analytics for business friendly data analysis. “At Profisee, user experience without functional compromise is our delivery strategy,” says Finkle. “Traditional MDM platforms are complicated and technical.” Profisee intends to simplify the entire process via user experience and uncompromising performance allowing clients agility and access to drive necessary data governance and analytics, without having to write code. The platform’s interface is designed to provide users with drag and drop features, empowering them to perform the actions & analytics faster and more affordably. Profisee takes advantage of technologies to set completely new standards for the MDM market that legacy systems are unable to provide. Delivering utmost value to customers has been the “secret sauce” behind Profisee’s significant growth over the years. Finkle mentions, “Word of mouth is, and continues, to be our greatest and most powerful marketing tool to gain new clients.” Looking ahead, Profisee views its single, comprehensive solution and unparalleled customer service as key differentiators to overcome the historically “not good enough” approach of legacy MDM vendors and create a new wave in the data management market.